I’m not a huge movie person. I think the last movie I saw was Trainwreck and it’s only because I wanted to see what my life looked like on the big screen. But when I heard I could afford to go to an event famous people go to, I was in. 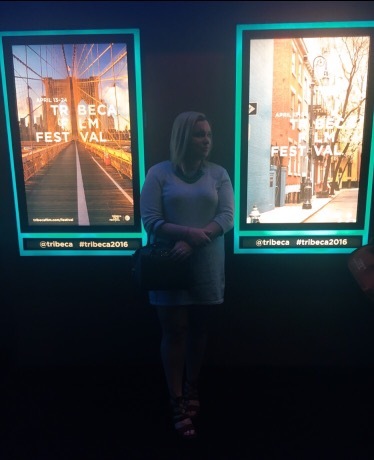 I was surprised to find out that regular people could even go to the TriBeCa Film Festival. I had always associated it with red carpets and famous people. But, it’s actually pretty affordable. There are obviously some expensive passes for the movie buffs to get into all the talks with directors and stuff like that. But if you just want to feel like you’re a part of the event, you can buy tickets to the screenings. Because we didn’t know much about any of the movies, we chose screenings of some of the award winners. We saw screenings for Best US Narrative and Best Actress. The tickets for the narrative were matinee so they were only $10 and the later movie was only $20 (with an annoying processing fee of $3.50). For around $30 we got to see two award winning movies. It is also pretty convenient to see the movies. There are screenings in theaters all of the city. We chose both of our screenings to be in the same theater in the Financial District so we could go around the block to a bar and hang out between movies (always strategically have to get a bar into the plan). The film festival turned out to be a fun event for a Sunday afternoon. It was affordable and we got to see some award winning movies and take pictures on a red carpet and pretend like we were important enough to be “invited” to a film festival. I’d definitely recommend it to anyone looking for an affordable way to be a part of one of NYC’s biggest events of the year.